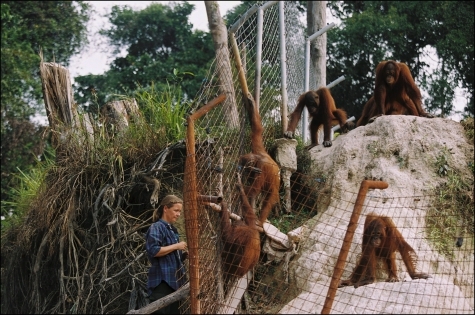 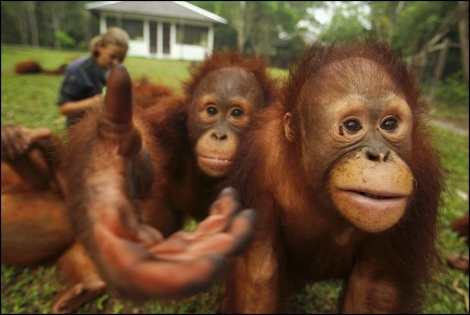 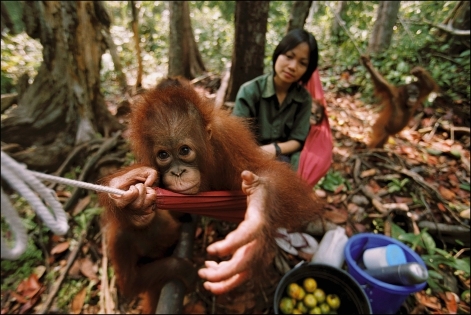 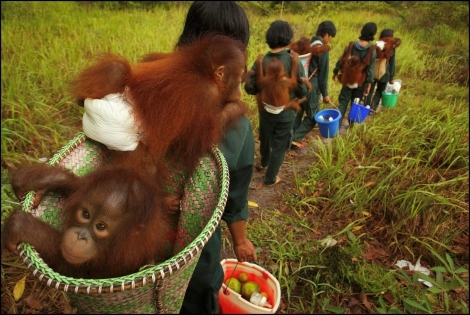 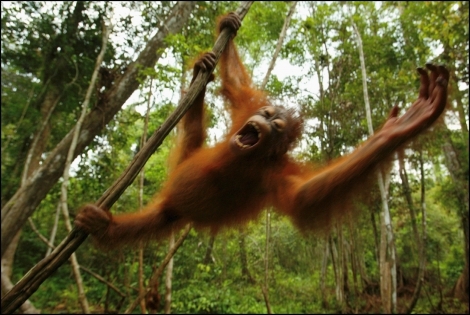 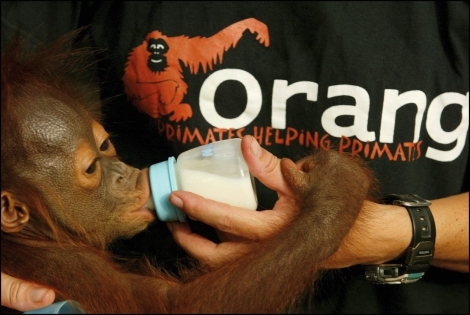 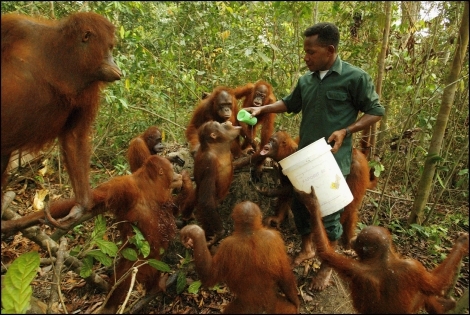 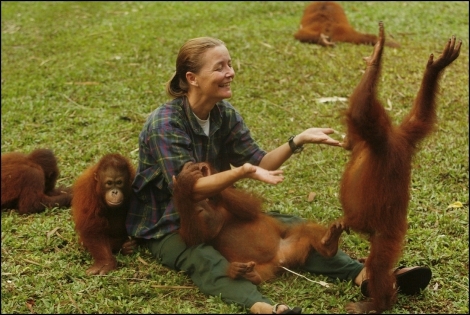 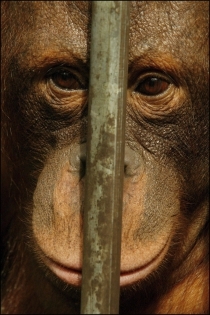 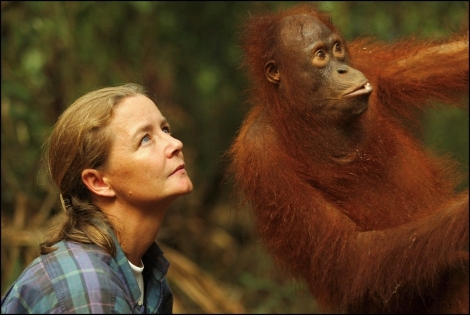 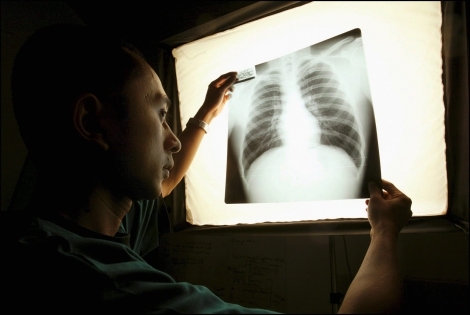 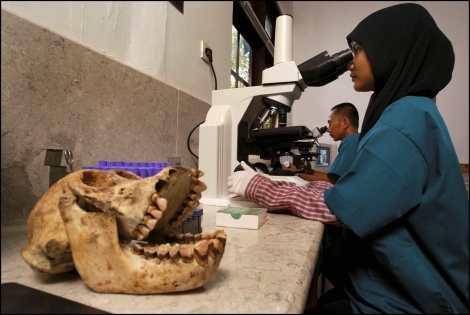 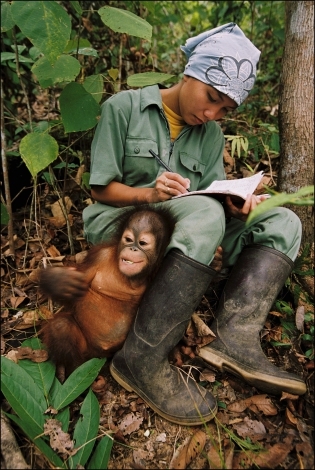 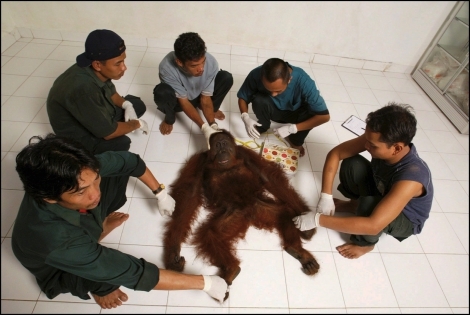 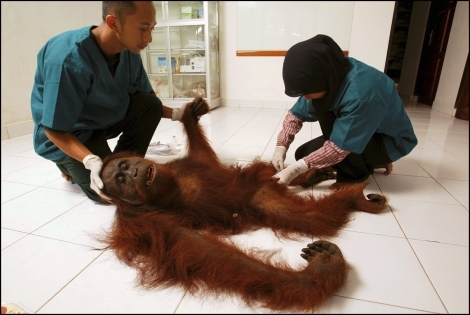 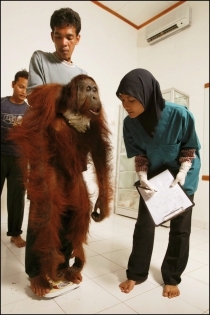 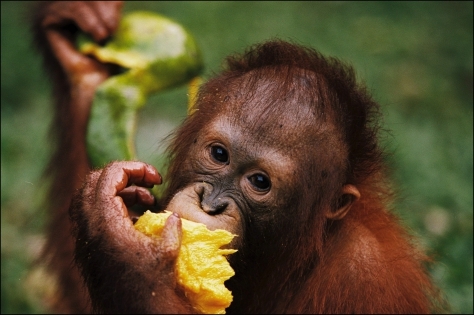 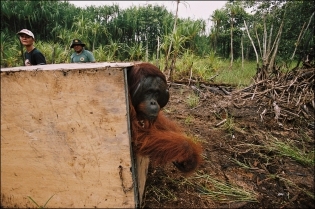 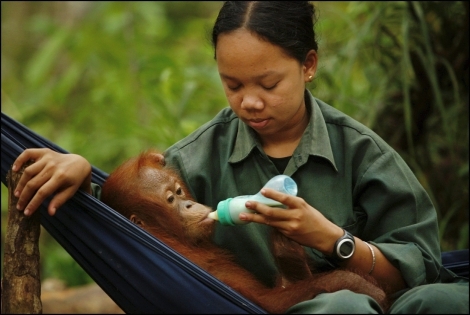 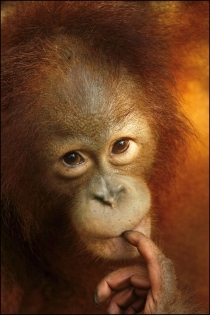 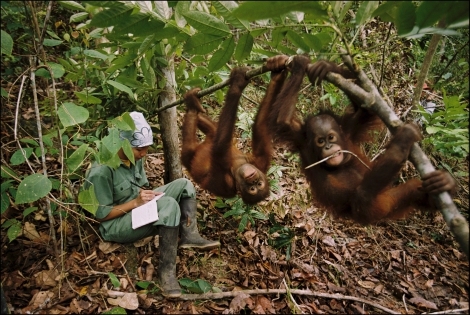 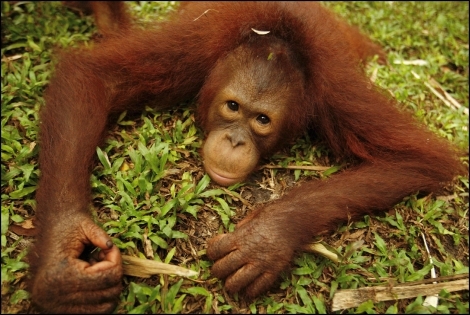 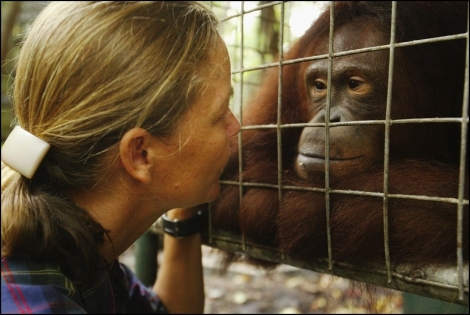 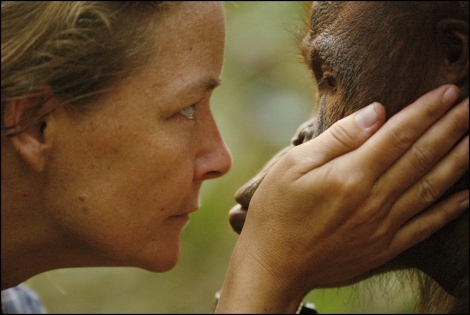 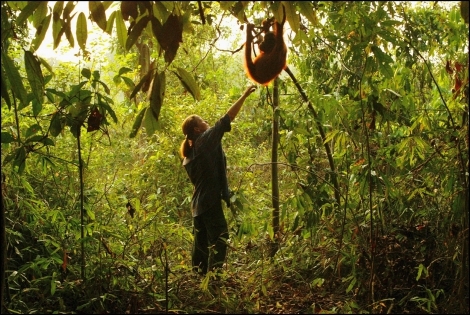 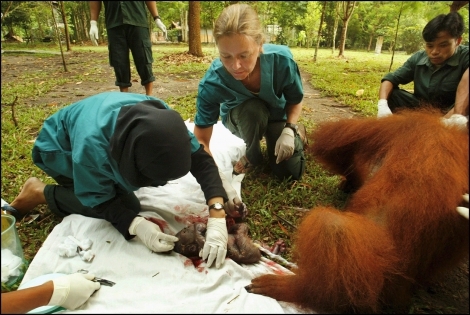 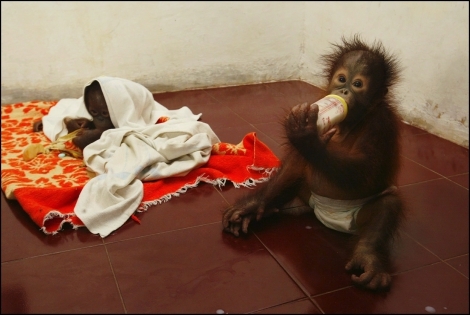 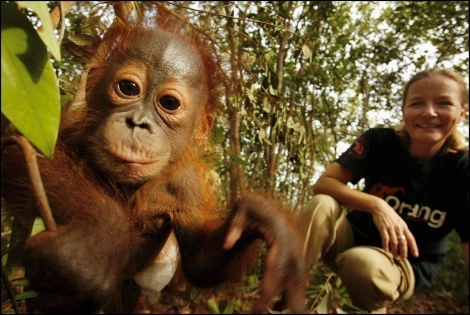 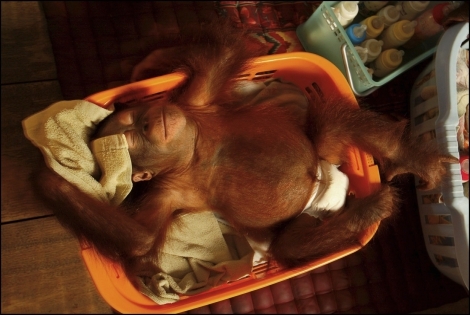 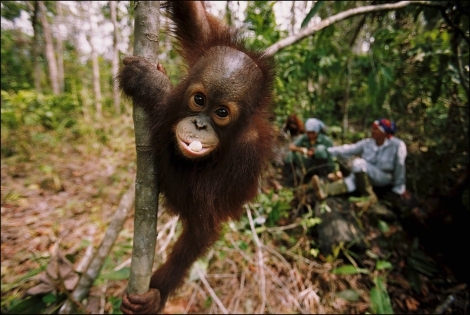 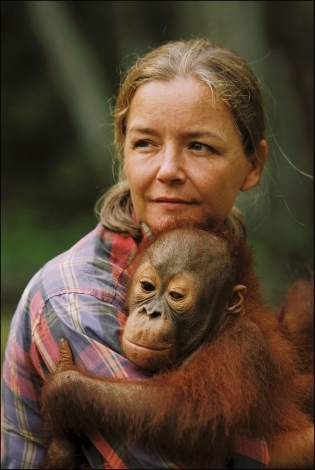 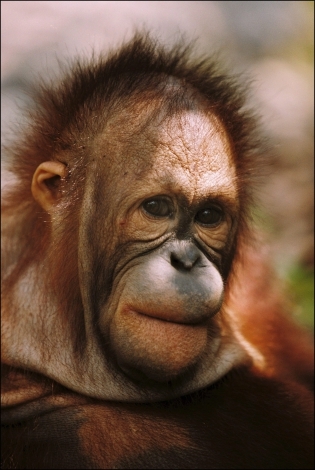 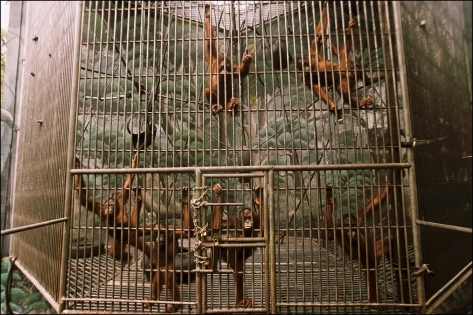 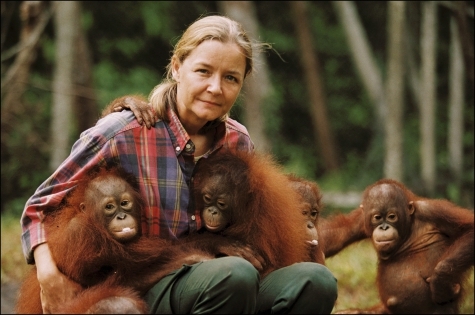 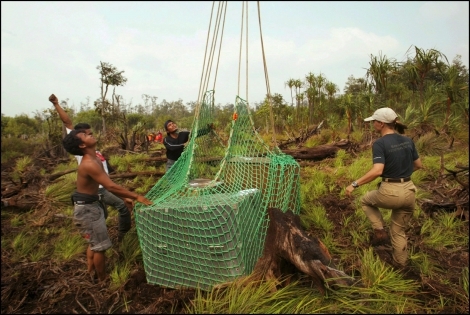 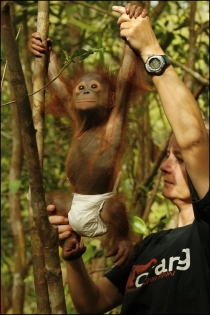 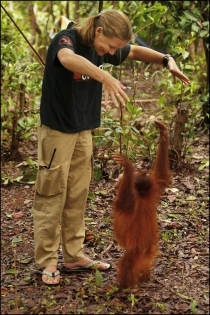 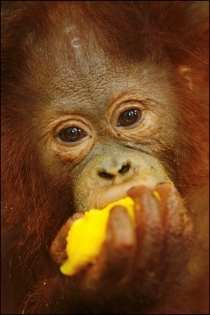 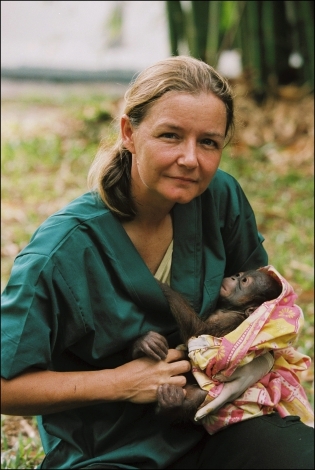 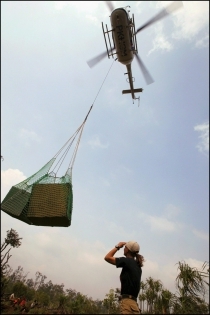 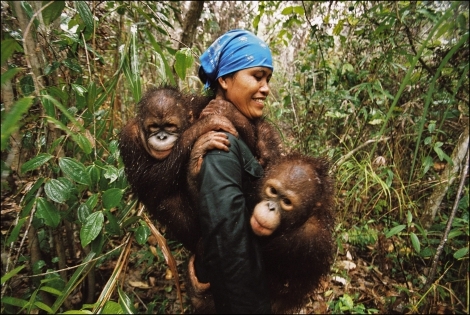 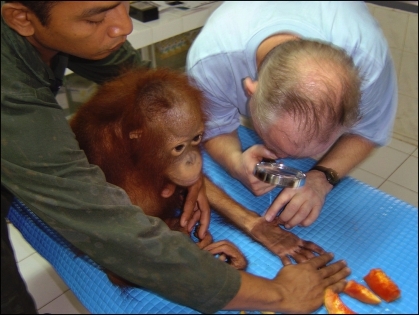 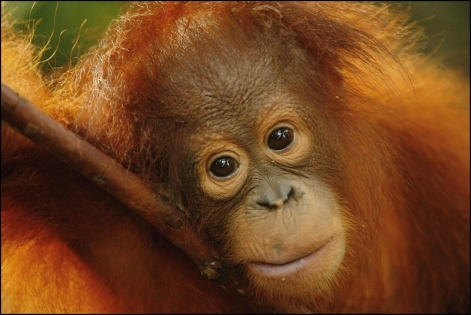 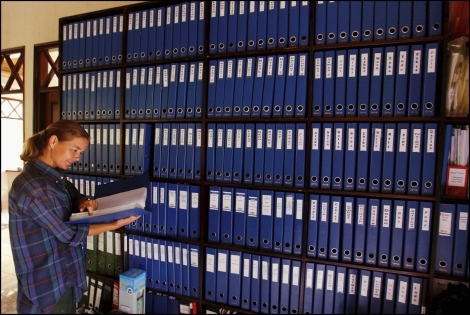 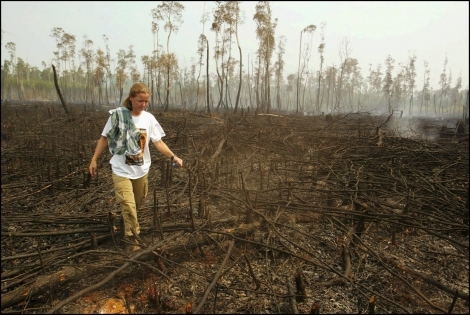 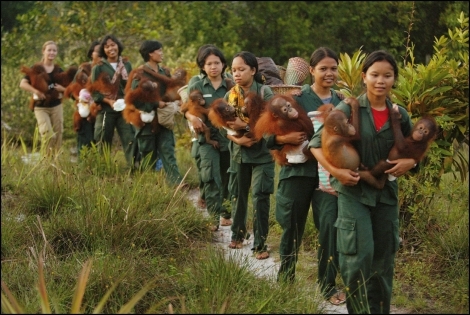 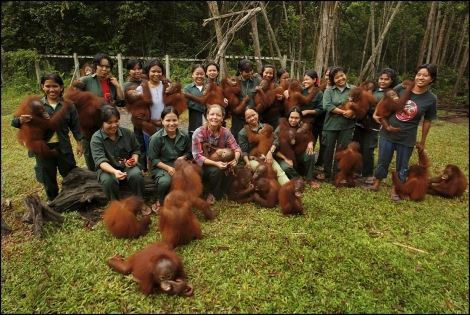 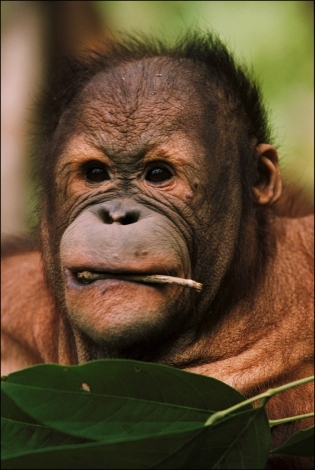 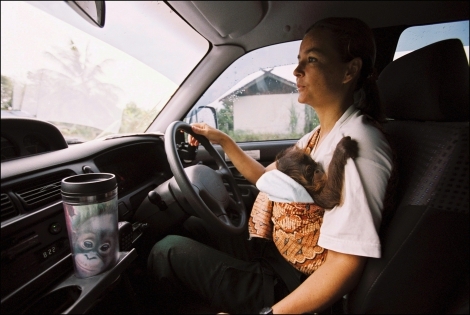 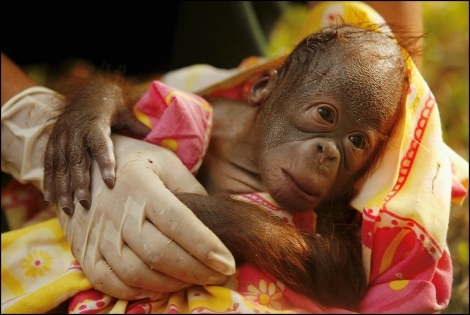 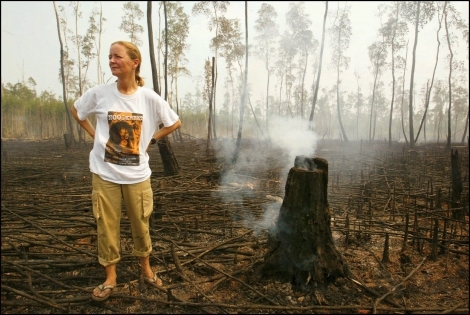 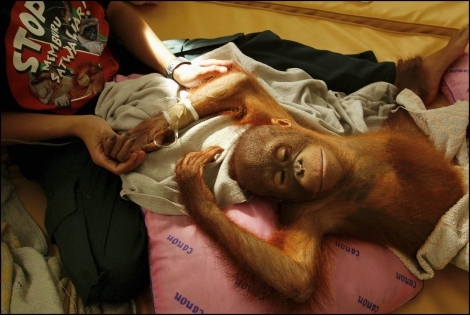 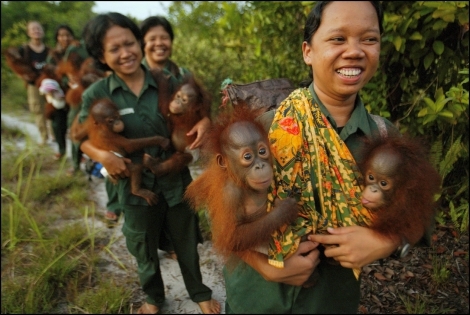 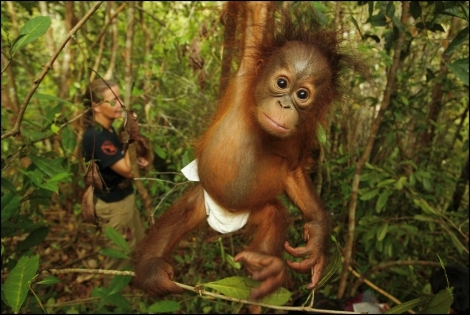 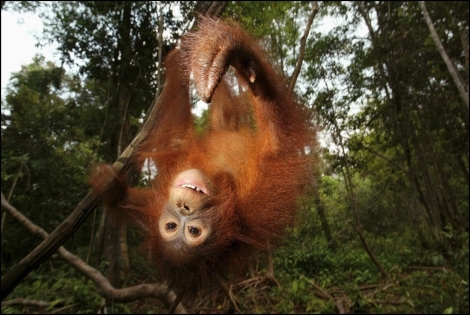 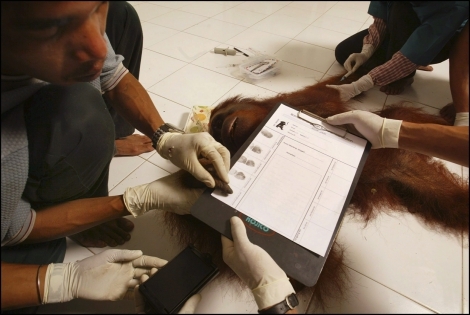 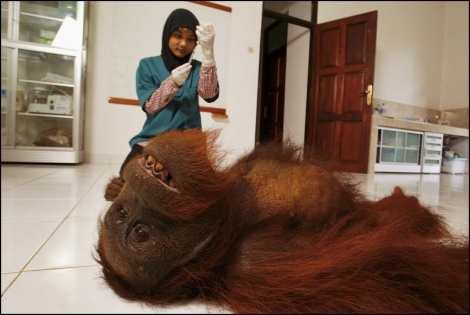 Danish Lone Droescher-Nielsen is head of Nyaru Menteng orangutan rehabilitation center founded by B.O.S. 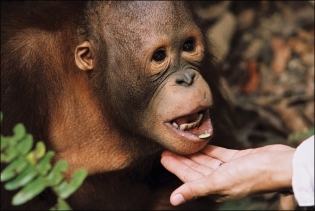 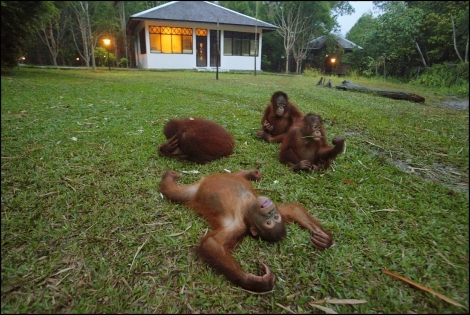 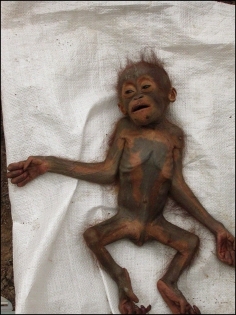 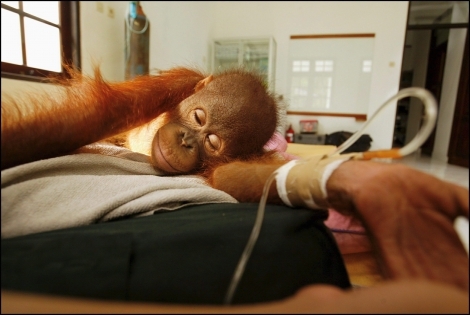 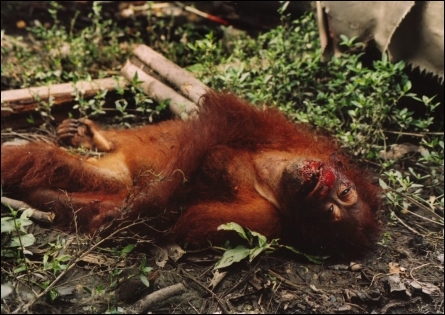 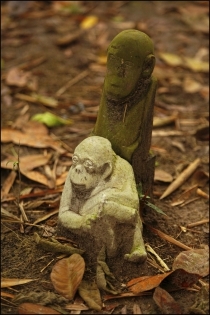 (The Borneo Orangutan Survival Foundation). 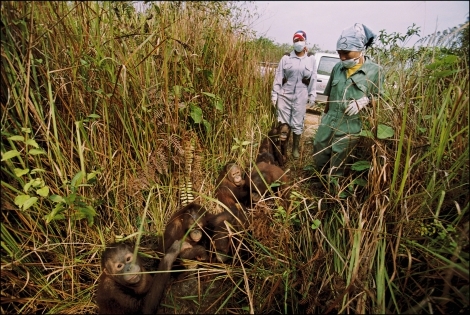 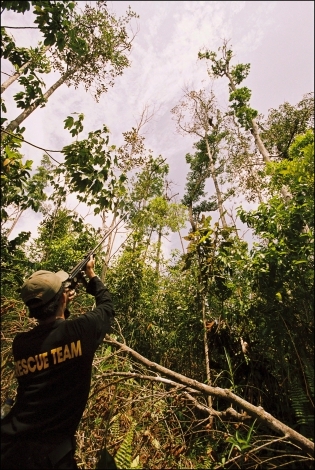 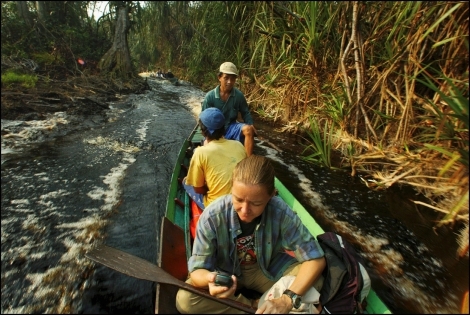 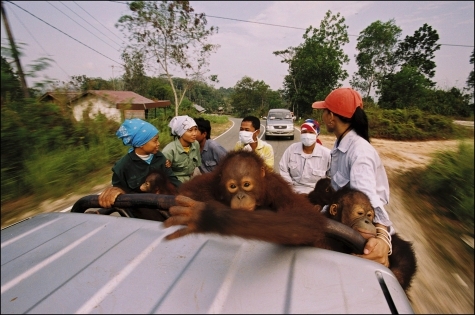 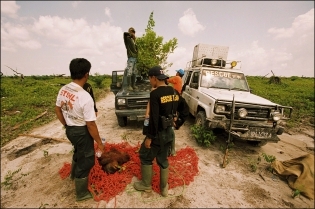 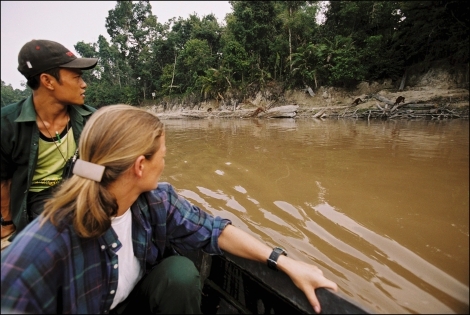 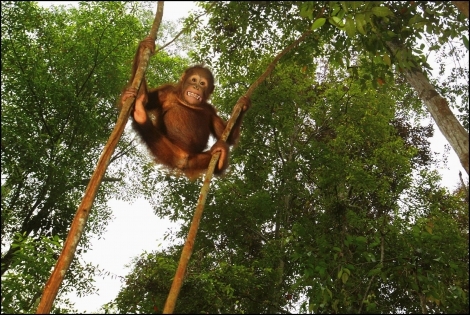 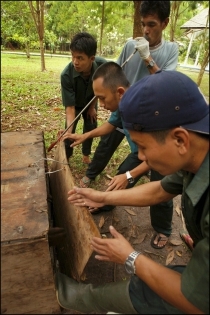 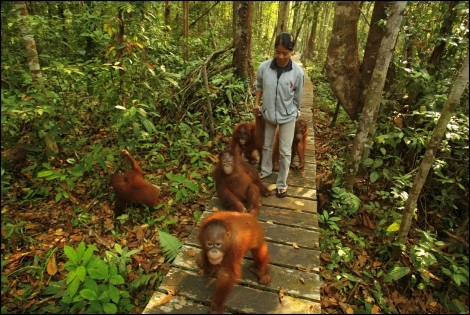 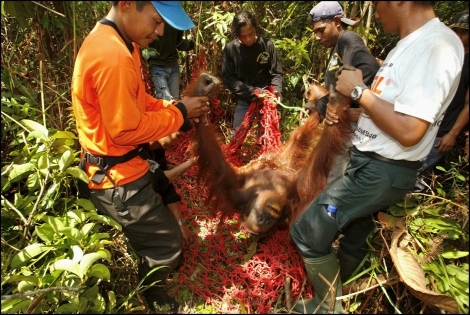 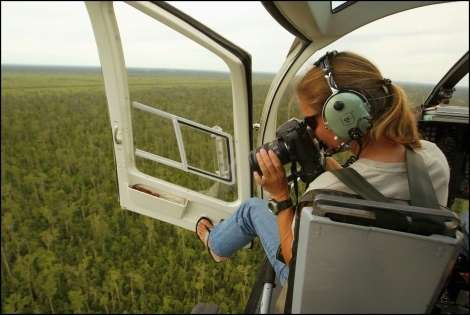 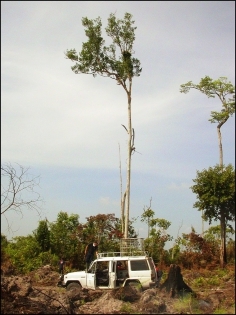 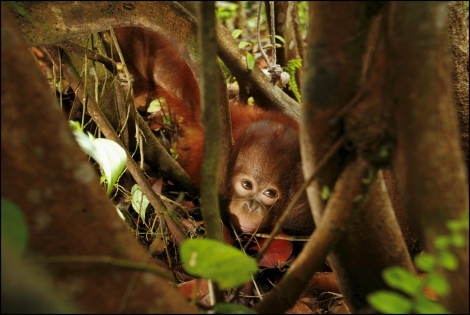 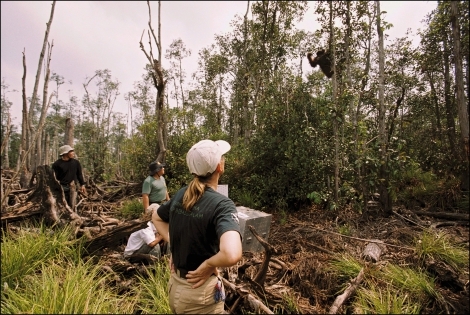 Once a week, she visits the orangutans released on Kuala Kapuas island. 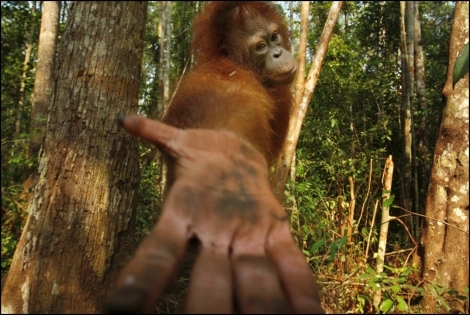 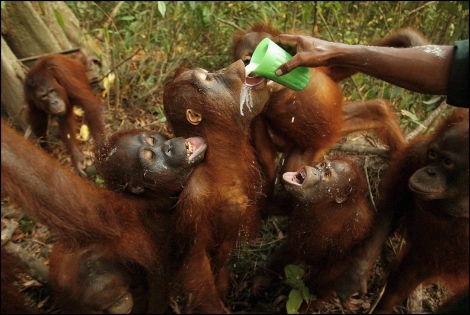 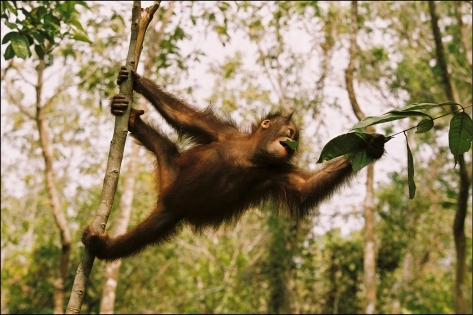 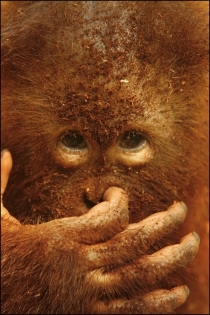 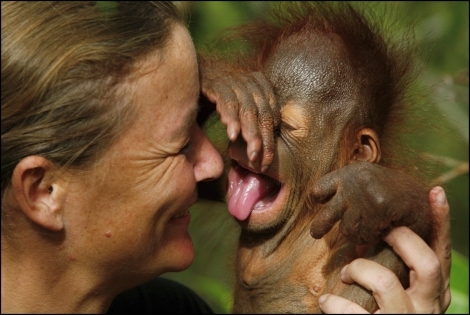 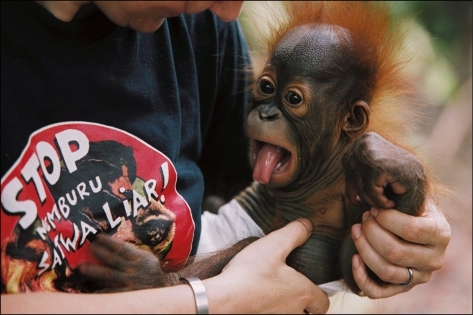 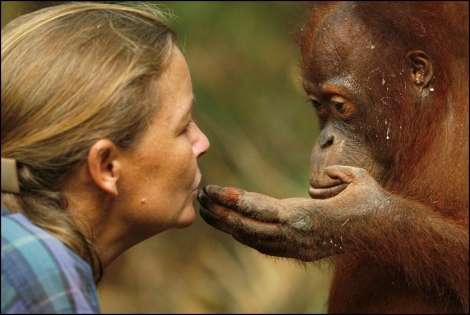 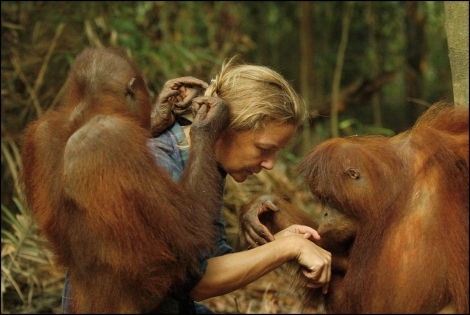 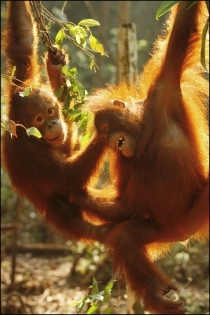 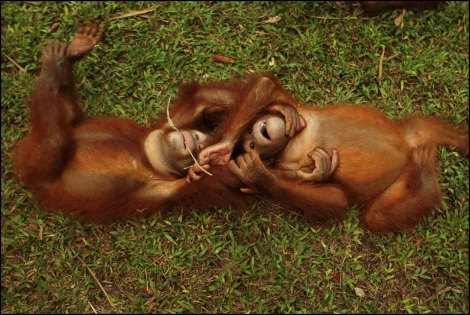 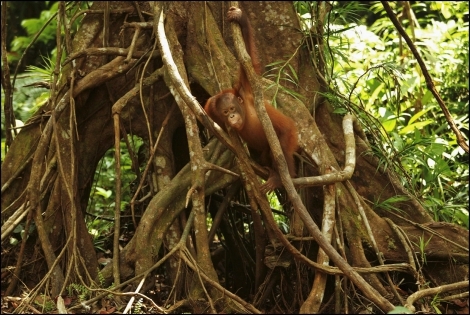 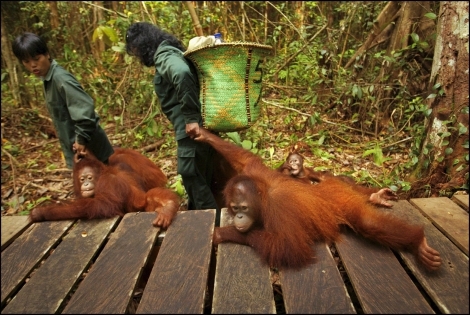 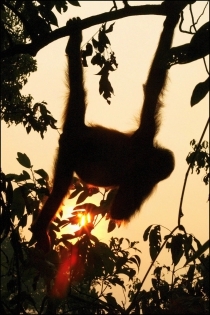 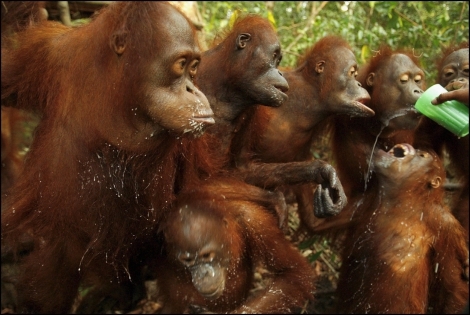 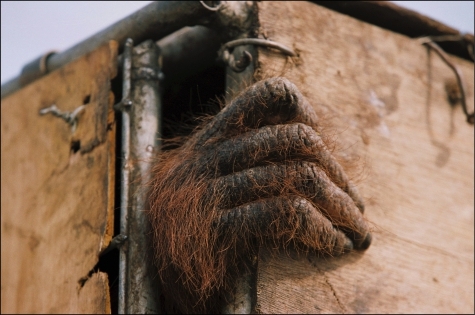 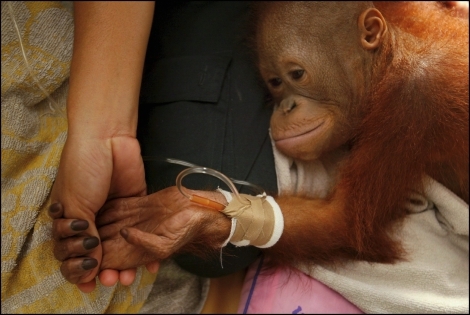 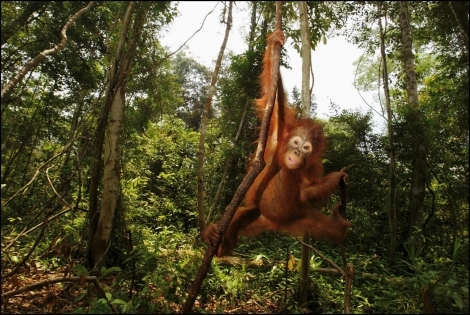 The orangutans smell and touch Lone to build a bond of confidence.